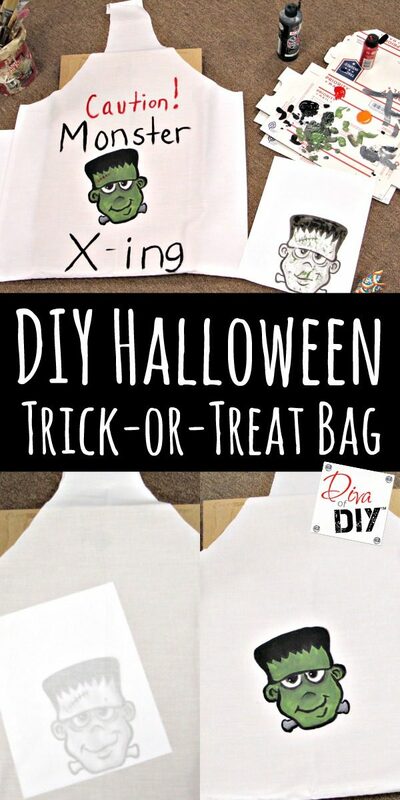 Halloween is the perfect time for children to show their creativity and making their own trick or treat bags is a great place to start! Anyone who knows me knows I don’t sew. 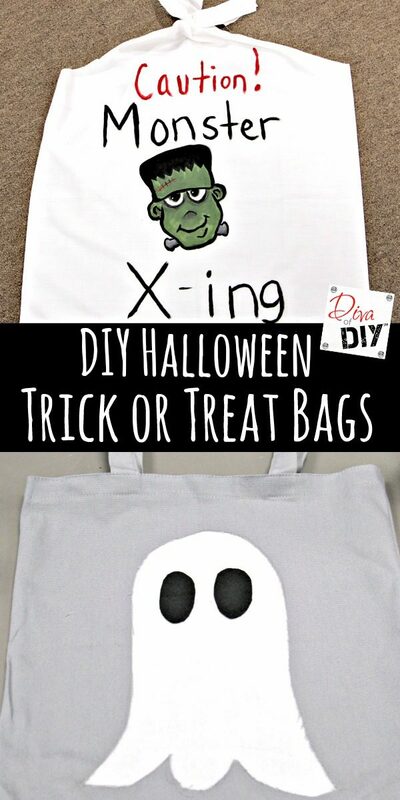 This tutorial shows you 2 no-sew options: one is making a treat bag from a pillowcase and the second is taking a canvas or cotton bag and decorating with a faux no-sew appliqué method. 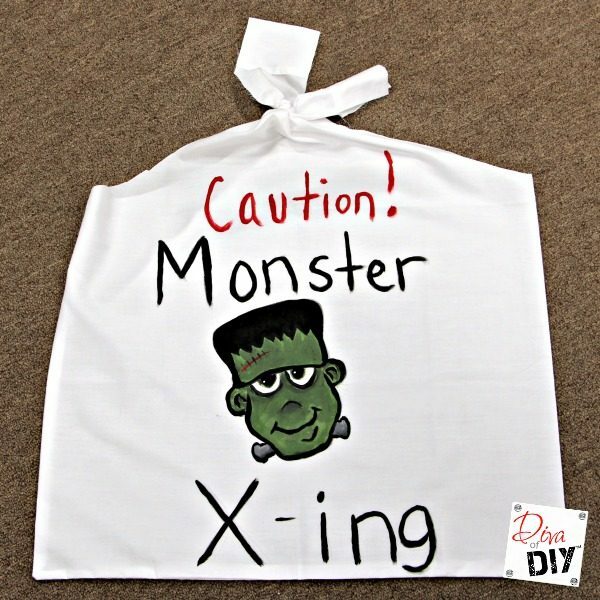 Step 1) Lay out pillowcase and iron it. 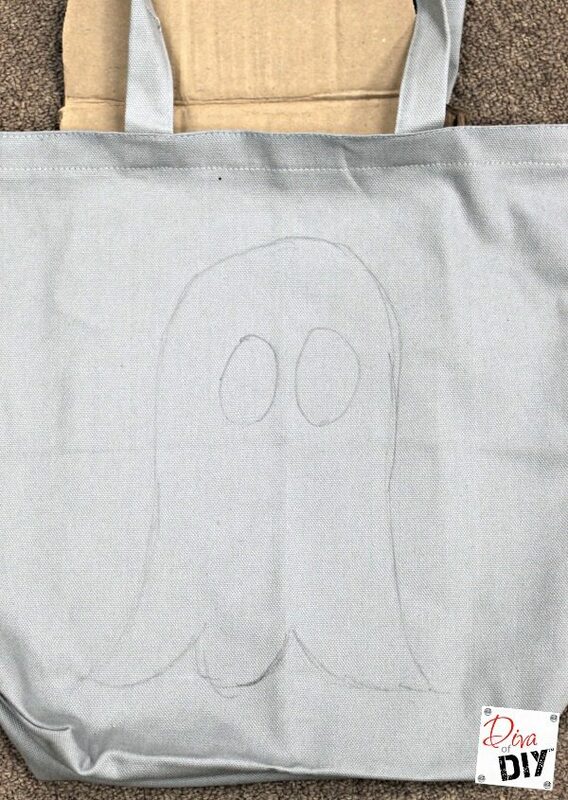 Step 2) Draw lines on the pillowcase as shown above for the handles. Step 3) Cut handles out on lines. 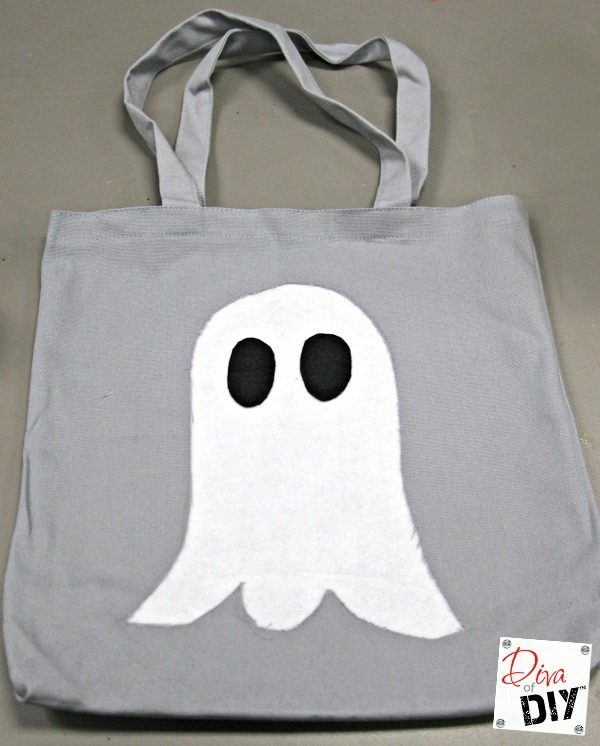 Step 4) Find a picture you want to paint on your treat bag. You can make the clip art the size you need and print it out. Step 5) Put cardboard in between the layers of the treat bag and lay clip art on the top. You can see through the pillow case to the picture for guide lines. 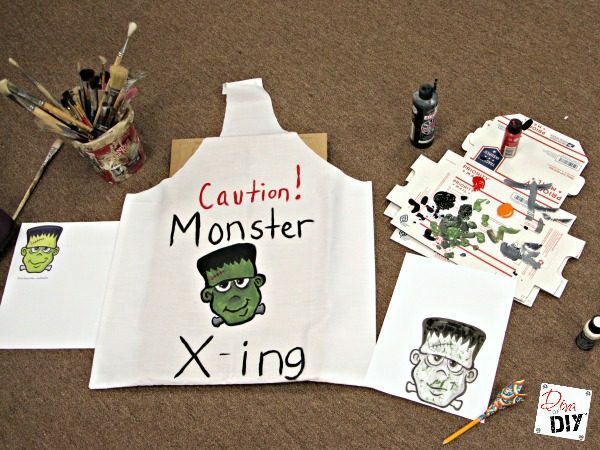 Step 6) Using brushes, paint your clip art with acrylic paints in the color of your choice. Let dry. 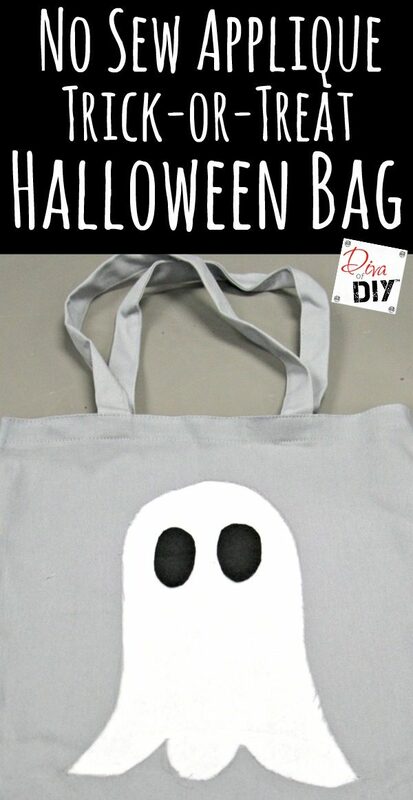 Step 7) Add words or other embellishments to your bag. Let dry. Step 8) Take out the cardboard and tie the handles at the top. 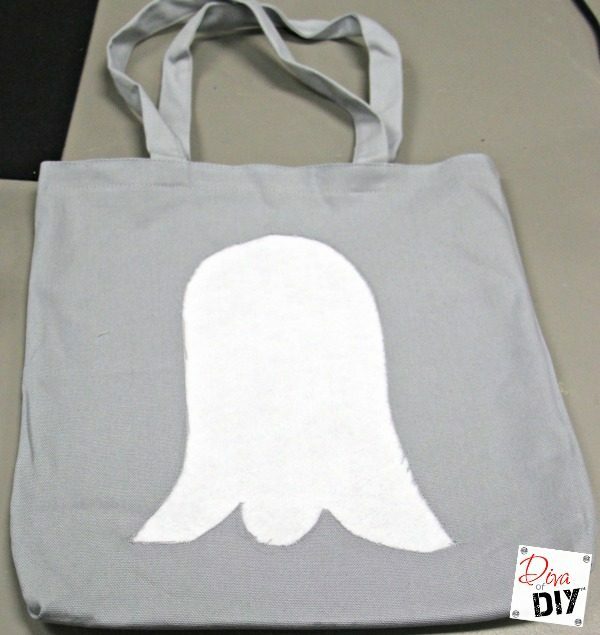 Step 1) Draw the faux appliqué shape you want on the bag. 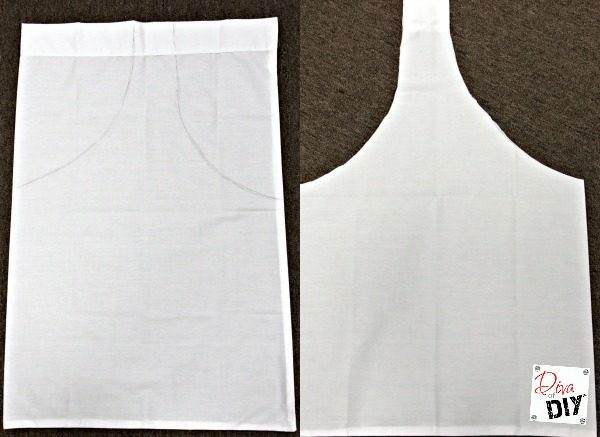 Step 2) Put the cardboard or cutting mat inside the bag. 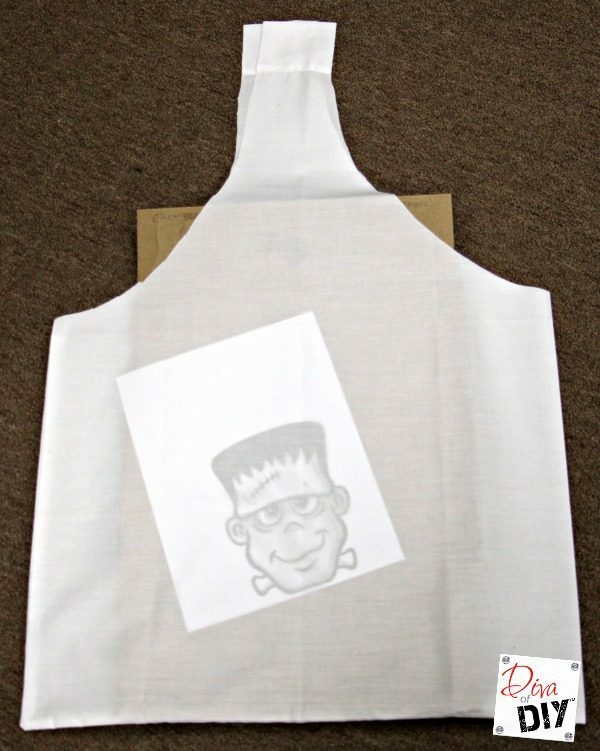 Step 3) Cut out the shape with utility knife . 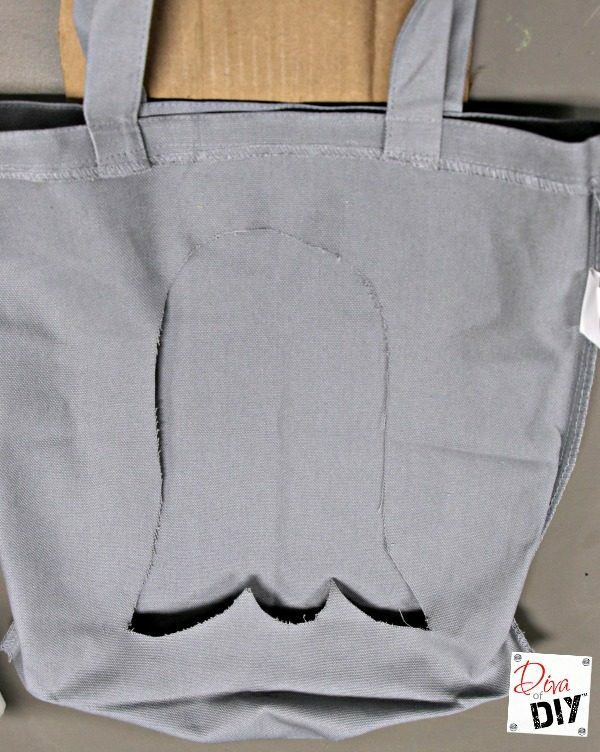 Step 4) Turn the bag inside out. Step 5) Cut strips of the Heat ‘n Bond to go around the shape. 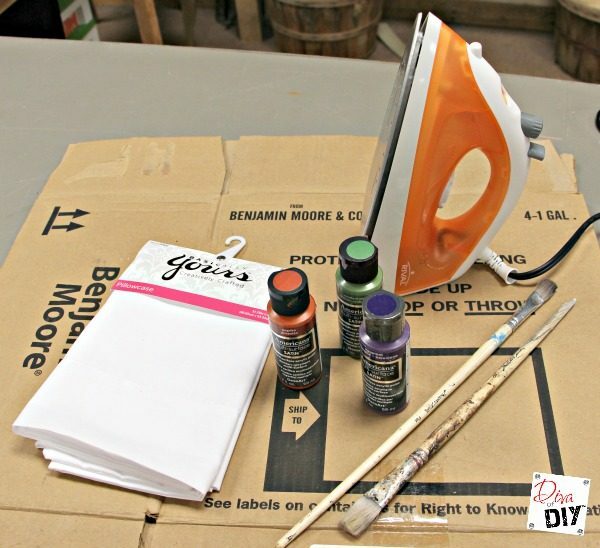 Step 6) Iron the Heat ‘n Bond per package instructions. 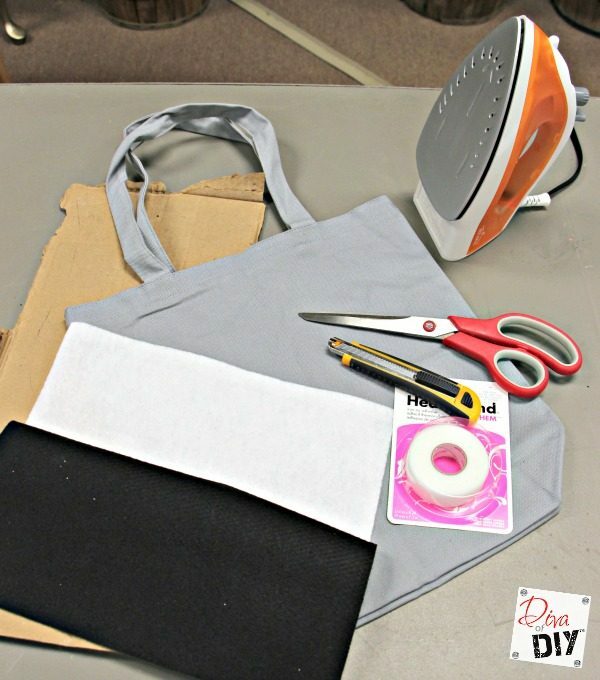 Step 7) Pull the paper off and adhere the fabric or felt to the bag. Step 8) Turn the bag back right side out. 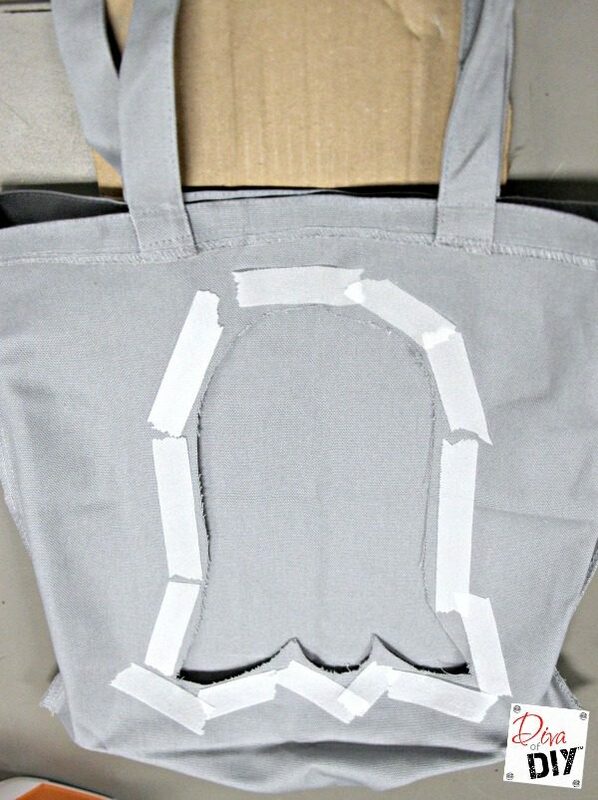 Step 9) Embellish the appliquéd shape as you wish. 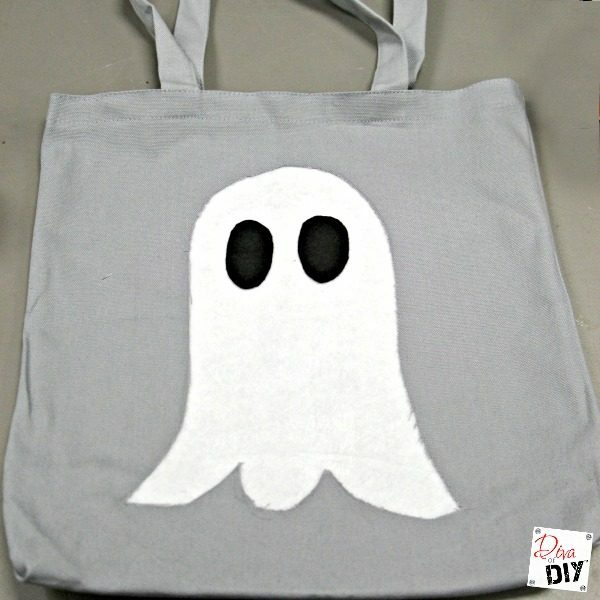 I put felt eyes on my ghost with fabric glue. 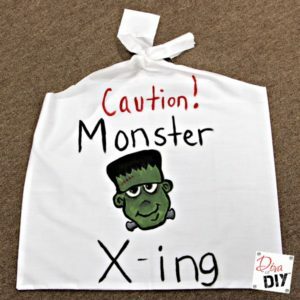 It would be easy to step it up a bit by adding “stitch” marks with a fabric marker or paint.